Dr. Ozgur Bolat received his B.A. from Bogazici University School of Education, where he graduated as a valedictorian. During his B.A. degree, he studied the psychology of learning as an exchange student at Binghamton University for a year, where he was awarded a “Certificate of Achievement”. He later received a Fulbright and Turkish Education Foundation scholarship to study at Harvard University Graduate School of Education for his Master’s degree. Upon completion, he returned to Turkey and taught at Bogazici University for two years. He then started his Ph.D. at the Department of Educational Leadership and School Improvement at the University of Cambridge in the UK. He spent one year of his Ph.D. studies at Massachusetts Institute of Technology (MIT) Sloan School of Management as a visiting student and at MIT Leadership Center as a researcher. He conducted esearch on leadership and organizational culture during this period. In 2008, he won “The Best Young Researcher” award at an international conference in New Zealand. Dr. Ozgur Bolat currently works as a researcher and faculty member at Bahcesehir University, a researcher at the Leadership for Learning Center at the University of Cambridge, a columnist at the Hurriyet Newspaper and a project coordinator at the Turkish Education Foundation. He also consults NGOs, companies and schools in Turkey on leadership, organizational culture and change. 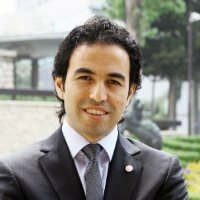 He started the Teacher Leadership Project in Turkey in 2008 and provided leadership training in more than 100 schools in Turkey.